Docrafts brings you, Capsule Kraft. A stunning mix of neon palettes, modern prints and dazzling foil finishes set on a kraft backdrop. 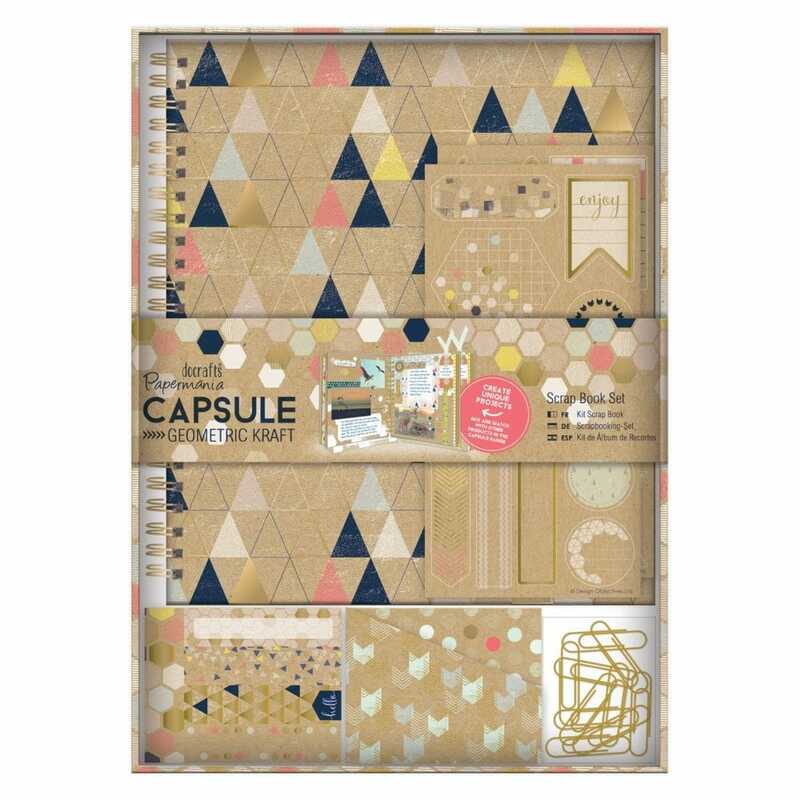 Store all your memories in this decorative scrapbook. Complete with 40 page tabs. paperclips, stickers and pockets, this kit makes a fantastic gift!